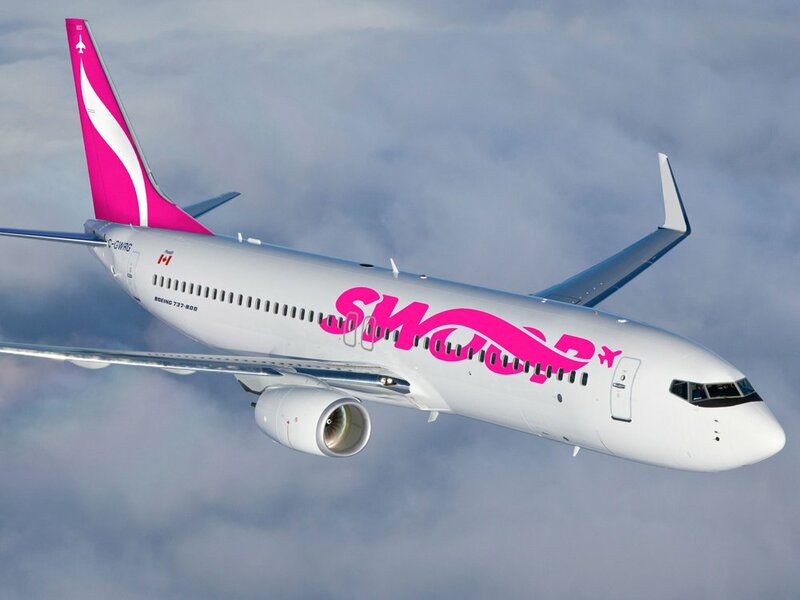 The WestJet ultra-low-cost carrier subsidiary, Swoop has unveiled its plans to head south for the winter. With a fanfare and a flourish, the no-frills airline confirmed its winter schedule includes flights to five key US cities and offered fares for as low as $99 CAD including taxes and fees! From October this year to 27th April next year the airline plans to operate scheduled flights between Edmonton and Las Vegas and Mesa. Plus from Hamilton, it will fly to Las Vegas, Fort Lauderdale, Orlando and Tampa Bay and Abbotsford will also get a US-bound service to the capital of gambling, the bright lights of Las Vegas. The fantastic city of Fort Lauderdale is a premier choice for snowbirds and holidaymakers alike as it offers a great range of accommodation for all budgets and all durations. The beautiful wide white sandy beaches are a true delight to lay upon or if you can summon the energy, walk along. It particularly romantic at both dawn and dusk and is the perfect way to either start or end the day. Shoppers will enjoy St Olas Boulevard area, which has some fine retail establishments, as well as top class eateries and don't forget, For Lauderdale is just a short drive away from the massive melting pot of Miami. Also well worth a visit is the opposite direction to Miami, the cute and friendly Lauderdale by Sea, which holds a unique charm. "I am delighted to welcome Swoop to FLL's diverse portfolio of air carriers," said Mark Gale, CEO/Director of Aviation at Fort Lauderdale Hollywood Airport. "Canada is FLL's largest international market, and Swoop's new service will offer an ultra-low-cost alternative to travel to Greater Fort Lauderdale where travellers can experience the cultural and culinary amenities the region has to offer. Additionally, this service will provide a convenient, non-stop travel option for the residents of Broward County to visit the beautiful and historic city of Hamilton." Las Vegas is a city that's known around the world, it is sometimes called the gambling capital of the world as well as the neon city for all its bright colourful lights. Even if you're not the sort to spend hours in the casino, Nevada's crown jewel still provides a magnificent array of activities, from flying over the infamous strip in a helicopter, exploring the wondrous Grand Canyon or climbing on a horse and making a rustic day of it! "McCarran International Airport is pleased to welcome Swoop and its new flights to Las Vegas," said Clark County Aviation Director Rosemary A. Vassiliadis, who oversees North America's eighth-busiest airport. "Canada has long been our number one source of international travellers, as nearly 1.5 million Canadians visit Las Vegas annually. With these new, ultra-low-cost offerings Swoop will soon make it even easier for more people to experience all Las Vegas has to offer."